Monitor temperature and active power status with AVTECH’s Digital Active Power w/Temperature Sensor. This patent-pending, award winning sensor provides the real-time power status of any electric device by simply strapping it to any AC electrical cord. There is no need to unplug the device, modify the cord, or require an electrician to connect within a main panel, making it easier than ever to monitor any electric device. If the connected device draws more than 100W, the Active Power Sensor will detect this and show the current power status as ‘Active’. Additionally, this sensor provides real-time temperature values from -40° to 185° Fahrenheit and/or -40° to 85° Celsius. Accuracy is within + / – 2 C degrees. 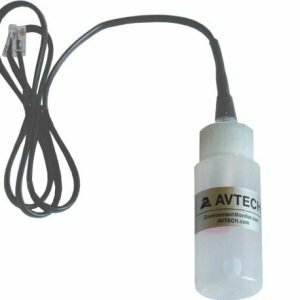 AVTECH offers this sensor with cable lengths of 10″, 25′, 50′ and 100′. 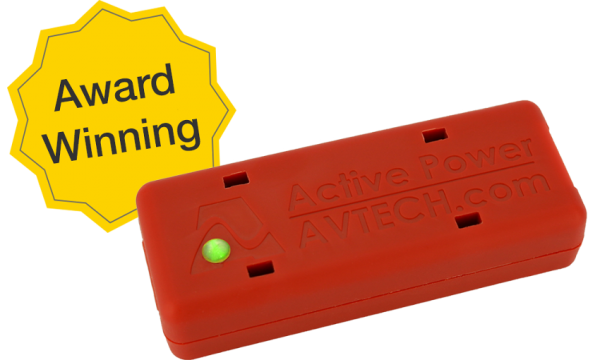 Each AVTECH Digital Active Power w/Temperature Sensor provides real-time power status of any AC powered electric device by simply strapping to any existing power cord. The power is considered ‘active’ when greater than approximately 100W. Accuracy is within + / – 2.5 watts. Additionally, this sensor provides real-time temperature values from -40° to 185° Fahrenheit and/or -40° to 85° Celsius. Accuracy is within + / – 2 C degrees. Before introducing the Active Power Sensor, organizations that wanted to monitor power status to electric devices usually needed to physically cut open a power cord to isolate specific conductors to measure current. This could lead to situations where power cables could be damaged if the procedure wasn’t done correctly. In other instances, electricians were required to attach monitoring within an electrical panel, or users would need to unplug a running device in order to install a power monitor. Since the primary push for the development of the Active Power Sensor was for the data center market, where high temperatures remain the leading cause of equipment failure, we decided to also incorporate temperature monitoring. While power failure to a server definitely indicates an immediate problem, monitoring the temperature directly behind a server where the exhaust fan is located helps track whether or not the server might be close to failure. Gradually increasing temperature readings can help alert users to potential power consumption or hardware failure issues. The capabilities of the Active Power Sensor allow it to be used in many other scenarios as well. You can use it to monitor other IT hardware such as firewalls, switches, or phone system equipment, while you can go in a decidedly non-IT direction and monitor HVAC units, portable air conditioners, sump pumps, freezers, and more! Anything with an AC power cord can be effectively monitored by the Active Power Sensor. 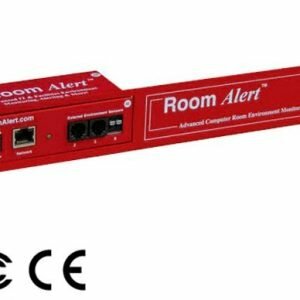 This is a dynamic sensor that provides temperature and active power readings every two seconds and feeds temperature and power status data in real-time data back to the Room Alert ID box for data logging, alerting and automatic corrective action. This is an instant ‘Plug & Play’ sensor via one of the standard RJ-11 jacks on any compatible Room Alert monitor. 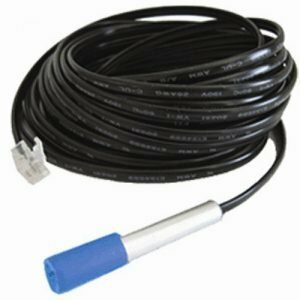 AVTECH offers this sensor with cable lengths of 10′, 25′, 50′ and 100′.